February! My reading has really slowed down the last two months. I blame loads of essay marking and also writing of stuff. I did read some biggies in February though. I finally got round to reading The Handmaid's Tale and Wuthering Heights. 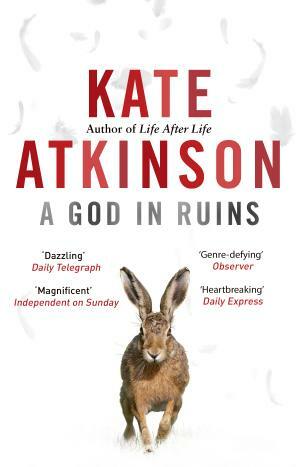 I listened to A God in Ruins by Kate Atkinson on audiobook, which I had been putting off for ages. 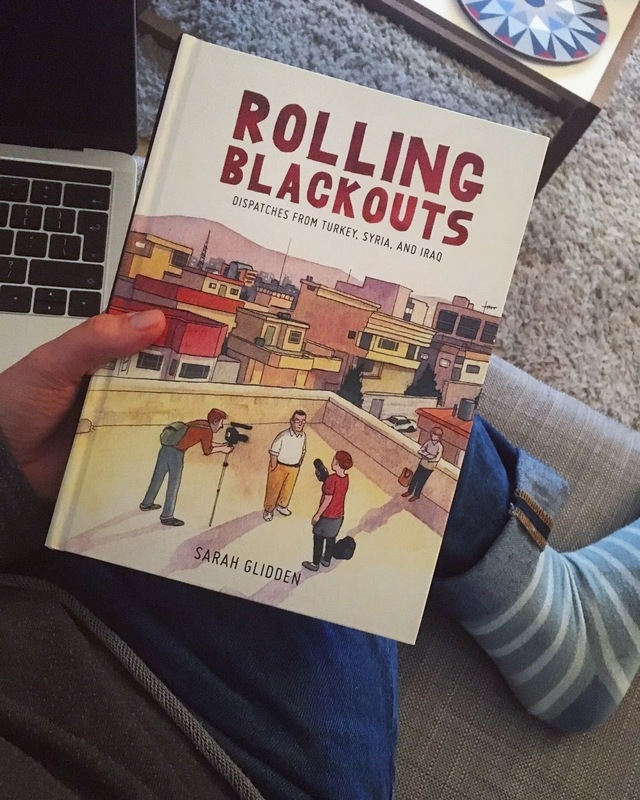 And I read Sarah Glidden's Rolling Blackouts, an extremely good graphic novel. I literally, in the literal sense of the word, had the Kate Bush song in my head every time I picked up my kindle to read this. I didn't realise how much second generation Cathy there was in this. Or how the book is set up as a story told by someone else. 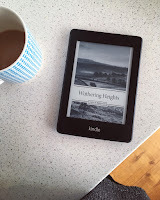 Or even have any idea what Wuthering Heights was about apart from moors, Heathcliff and Cathy. Maybe I've not even watched any of the film/tv adaptations? Anyway, now I know all those things and I enjoyed it. I loved the melodrama of the romance, and the creepy darkness of all the scary dark bits. So many people just Stuck in situations. V bleak. 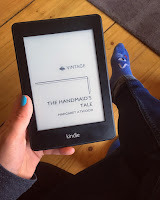 This one had been on my TBR list for years and I've read so many books inspired by it that it felt about time I finally read The Handmaid's Tale. I was totally engrossed in the story and kept wanting to go to bed early to read more. A lot of books I've read that were written after this, now seem so obviously a response to it. In some ways I feel like what has come since is better, but The Handmaid's Tale had to be the first one. I did enjoy it a lot though and the context that comes in to play at the end does give the story a bit more nuance. I now follow Margaret Atwood on twitter, you should too. I found Sarah Glidden's first graphic memoir, How to Understand Israel in 60 Days or Less, so compelling and thoughtful and reflective so I was very keen to read Rolling Blackouts. It's in a similar style, but with Glidden taking more of an observer's view of the rest of her group, two journalist friends and a marines (I think) vet, as they travel through Turkey, Syria and Iraq in 2010, pre Arab Spring. Super interesting, greta storytelling, beautiful artwork. Oh Teddy. I listened to this one on audiobook, and it a great way to read it I think, Kate Atkinson's wonderful vivid storytelling accompanying me as I walked about. I really liked the world of Life After Life, and while this was different and less multiple lifey, I enjoyed hopping around in time to different parts of Teddy's life after he survives the war. I've read several of Atkinson's books, but I may have to read a few more. Or maybe just revisit Behind the Scenes at the Museum, because I was enthralled by it as a teenager. More stuff soon I promise! I went to a couple of Aye Write! book festival events this month in Glasgow so I'll write up wee reviews of them soon and do some reviews of new releases soon too! I just finished reading A Conjuring of Light, which was wonderful.